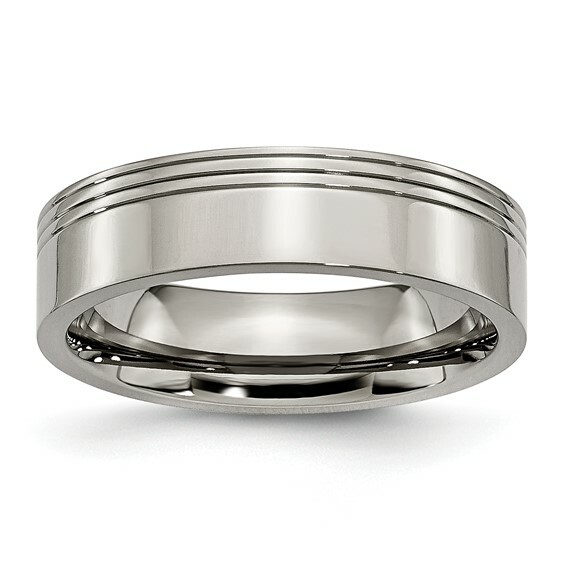 Titanium wedding band features three offset grooves. Polished finish, flat center. Width: 6mm. Comfort fit. Made of commercially pure [CP] titanium in China. Ring was slightly over-sized versus my fitting. I returned the ring for a new version a 1/2 size down, and it fit great. Only cost me the return shipping extra.